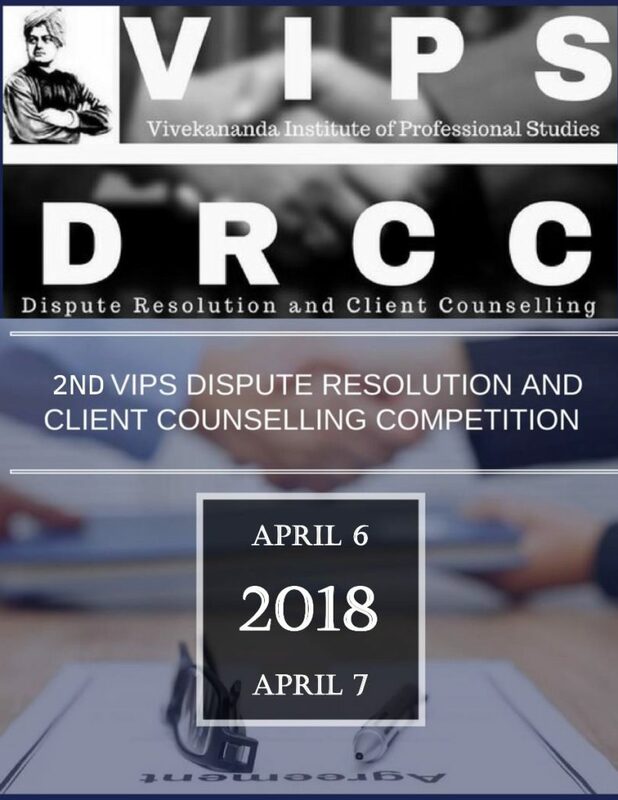 Vivekananda Institute of Professional Studies is pleased to announce the second edition of its Dispute Resolution and Client Counselling Competition (VIPS DRCC), which will hold Negotiation and Mediation events this 6th and 7th April, 2018. The first edition of VIPS DRCC 2017, in the words of participants, was truly a concoction of unflinching hard work, perseverance, enthusiasm and an event to be remembered as epitome of diversified pursuits of perfection. 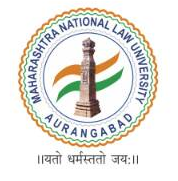 With the same spirit to promote the Alternate means of Dispute Resolution, the second edition seeks to inculcate the negotiating and mediating skills in the participants. Vivekananda Institute of Professional Studies, Outer Ring Road, AU Block, Pitampura, Delhi, 110034. 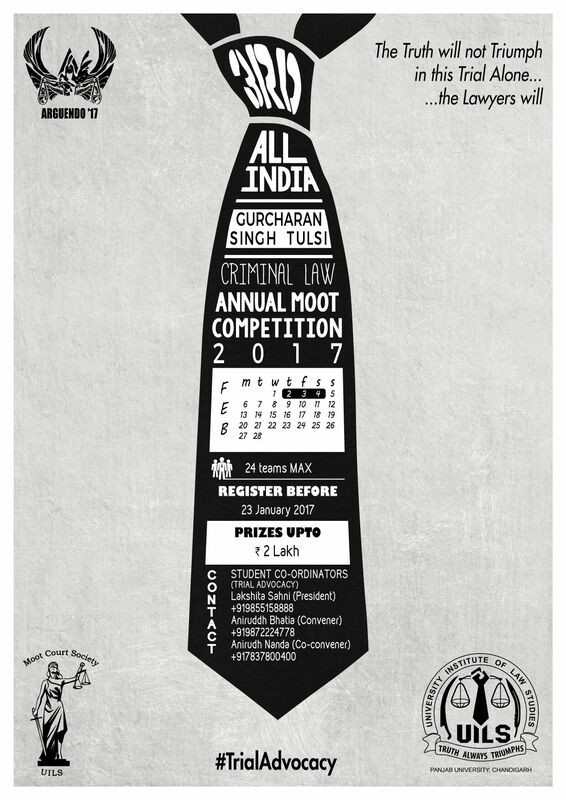 Students pursuing law under either five year course or three year course from any recognised law Schools/Colleges/Institutions/Universities are eligible to participate. For Mediation rules and regulations, click here. For Negtiation rules and regulations, click here. For further updates and information, please visit our Official Website and Facebook Page.